Berlin, August 13, 2018: Hausfeld, a leading international law firm in competition damages claims and other complex litigation, announced today that Wolf H. von Bernuth will join the Berlin office as partner effective September 1, 2018. 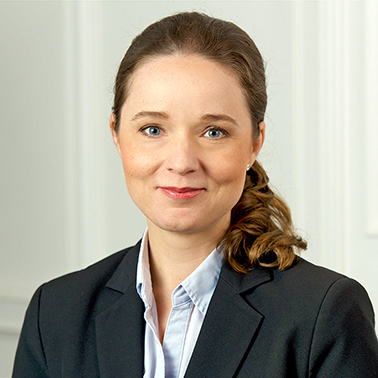 In addition, Ann-Christin Richter was appointed as partner in the Berlin office with effect from January 1, 2019. Wolf H. von Bernuth began his career as an attorney at Gleiss Lutz, where he worked for 20 years, 15 of which as a partner. In 2017, he founded a litigation boutique in Berlin. Wolf H. von Bernuth has particular experience in investor lawsuits. During his time at Gleiss Lutz, he represented Hypo Real Estate (HRE) in its defense against one of the largest set of investor lawsuits in Germany. In addition, Wolf von Bernuth served as an expert for the German Parliament’s Legal Committee during the reform of the German Capital Markets Legal Test Case Act in 2012. At Hausfeld, Wolf H. von Bernuth will help the firm build upon its financial litigation practice area focused on investor lawsuits, representing institutional investors in particular, and will further strengthen Hausfeld’s general commercial dispute practice (as regards litigation and arbitration). Ann-Christin Richter joined Hausfeld in Berlin in early 2017 as a counsel. Prior to joining Hausfeld, Ann-Christin worked for two international law firms in German and European competition law and antitrust and IP litigation for several years. She further worked as an antitrust expert for a major international pharmaceutical and healthcare company. She represents large companies harmed by cartels as claimants in competition damages proceedings and also advises companies on general antitrust law matters. "We are delighted to welcome Wolf von Bernuth, a renowned, experienced litigator and one of Germany's leading experts in the field of investor lawsuits, and to internally appoint Ann-Christin Richter as partner in our core area of competition damages claims," said firm Chairman Michael D. Hausfeld. "Since our opening in Berlin at the beginning of 2016 and then expansion to Dusseldorf, our German operations have experienced vigorous growth, with our team growing from three to almost 20 professionals. The further development of a financial litigation practice focused on investor lawsuits and the strengthening of our general litigation area and market-leading competition litigation practice at partner level underlines our growing German presence, which is driven by the needs of our clients and vast case opportunities". Christopher Rother, Hausfeld’s managing partner in Germany added: "We are very pleased that Wolf will join our partnership in September 2018 and Ann-Christin in January 2019. Wolf will expand our expertise in the area of investor lawsuits under capital markets law and general commercial law disputes. Since the beginning of 2017, Ann-Christin has made significant contributions to the growth of our antitrust practice and to many successes for our clients, which will only increase with her new role". Hausfeld’s Berlin office was opened on January 1, 2016 to meet the growing demand of German clients for Hausfeld's legal services and innovative funding options. The Düsseldorf office was opened on July 1, 2017. The growing needs of German clients in the area of antitrust compensation proceedings is primarily due to the increased uncovering of cartels by the European Commission and the German Federal Cartel Office, and Hausfeld's reputation as a leading law firm in the enforcement of antitrust compensation claims in Europe and around the world. Hausfeld is a leading global law firm with offices in Berlin, Brussels, Dusseldorf, London, New York, Paris, Philadelphia, San Francisco, and Washington, DC. The firm has a broad range of complex litigation expertise, both in court and out of court, particularly in antitrust/competition, financial services, investor proceedings, sports and entertainment, environmental, mass torts, consumer protection, and human rights matters, often with an international dimension. Hausfeld aims to achieve the best possible results for clients through its practical and commercial approach, avoiding litigation where feasible, yet litigating robustly when necessary. Hausfeld’s extensive experience with alternative and innovative fee models offers clients a diverse menu of engagement options and maximum flexibility in terms of managing their cost exposure. Hausfeld is the only claimants’ firm to be ranked by the Legal 500 and Chambers & Partners as a top tier firm in private enforcement of antitrust/competition law in both the United States and Europe.